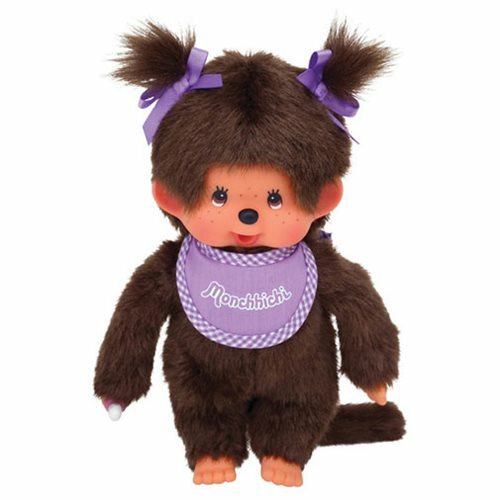 The Monchhichi Girl Purple Bib Plush is dressed ina purple bib, matching matching bows and a pacifier. Measures about 8-inches tall. Ages 2 & up.